Advertise with Haunted America Tours with confidence that we'll be sending real people to your web site, who will really see your sites ghostly offerings! We at Haunted America Tours know the value of Visitors haunting your Web Site site. To be successful online, your Haunted Ghost filled site needs to be haunted 24/7 365 days. Let us do the hard work for you, sending guaranteed web traffic to your web site affordably! Is It in your future? SPECIAL ENTRY LEVEL RATES, RENEWAL DISCOUNTS & MORE! We're Getting The Hits ... SO CAN YOU! Welcome to Haunted America Tours.com. Our Haunted Web Site Gets over 10 million hits a month does yours? Let us help your web site be a most Haunted America Tours destination! ADVERTISE WITH US AND SEE WHO STARS HAUNTING YOUR WEBSITE TODAY. product, service or site the hit you want it to be? from credit card or debit card through PayPal . Banners cannot go up until payment is received/cleared. The easiest way to transfer funds on the net! Thank you for your interest in advertising on http://www.hauntedamericatours.com The following is the price list for advertising on our web site. Our Prices reflect your banner viewed through out the site. BE SEEN on HauntedAmericaTours.com. Increase your exposure to your web site/business by advertising on our web site. Haunted America Tours has over 10 million page views per month and we are growing every day. 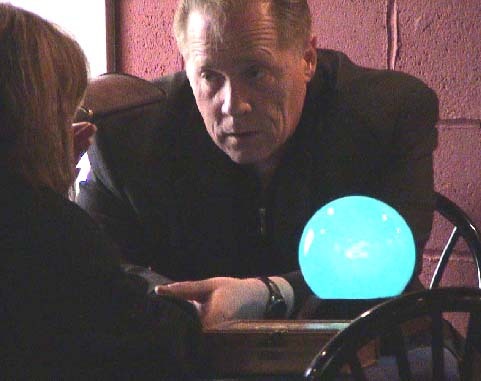 We provide a targeted audience focusing on everything from the Paranormal to the Supernatural Enthusiast. Our viewer are people looking for answers, help, insight, opinions and much more to help them to better understand the unexplainable. If you have any questions, please contact me Jules Richard at (504) 919-9342 and we can discuss the campaign that is right for you. *Bachigraphics is in charge of all advertising for these website. Bachi Graphics and Haunted America Tours are NOT responsible for impressions or clicks thrus that you receive nor make any guarantees on results. To have your Haunted advertisement placed on all these sites listed below please add a one time yearly inclusion fee $1000.00 Our Web sites traffic over 10 million hits per year collectively. Trading text links with other sites does bring some people to your site, however since most everyone's site has numerous links, they no longer have the effectiveness or referral power they had a year or so ago. Listing with countless search engines doesn't cut it anymore either. Have you seen the increasing number of search engines, and the hundreds of millions of URLs (Web page addresses) that are out there? Usenet groups are not much different. There is of course "legal" spamming. We do not recommend or support this practice! The only way to get large numbers of people to you is the same as it as always been--you need to network and ADVERTISE...and the best place is on the Internet itself. However, advertising on the Internet is not quite the same as it was in print. You still need to place "ads" at sites that are in alignment with what it is you are offering, however, the purpose of the "ad" --a banner across the screen like the one below--is to get viewers to click on the banner and be transported to your site. We accept Pay Pal funds payments! Pay online instantly and we'll have your haunted campaign up and running in no time. To be successful you need more than just visitors - you need visitors with an interest in what you have to offer! With premium traffic campaigns from our traffic navigator, you can choose what geographic area the visitors should come from and what category they're looking for. Choose from over 10 target categories, everything from Haunted business, Haunted Travel and hotel reservations to haunted shopping and haunted entertainment! Our premium targeted visitors will always see your haunted site in a full size browser window. We don't use automated scripts, miniature popup windows or other deceptive ways to increase your hit counter without anyone actually seeing your site. Please Read Our Advertising Disclaimer! PLEASE READ: Article I. Banner exposure is no guarantee of sales or click-throughs. Neither Haunted America Tours, hwww.hauntedamericatours.cpm or Bachigraphics.com Website nor the webmaster guarantees the success of any ad featured at the website, and no refund of money for advertising is suggested or implied. Hauntedamericatours.com reserves the right to discontinue any advertising without refund of money based on its SOLE DISCRETION and determination in the event of the receipt of verifiable and reasonable complaints of legitimate customer grievance of actual damages, or legitimate customer dissatisfaction or noted misrepresentation (not including issues of personal interpretation, but of actual damaged goods, unfulfilled services or unresolved remittance/refunds or matters of false advertising, deception, fraud, etc). Hauntedamericatours.com will NOT be compelled to withdraw any advertising by external consensus until a thorough examination of the facts has been ascertained, protecting both the advertising client and the public. Hauntedamericatours.com , Bachigraphics cannot and will not moderate advertiser/customer disputes, but will forward and inform advertisers of customer complaints. All ad contracts are prepaid. Neither Hauntedamericatours.com, nor the webmaster, nor anyone affiliated with Bachigraphics.com or or its editors or producers may be held responsible or liable for losses of any kind by an outside party, including but not limited to net outtages, acts of God or change in programming or production. By accepting terms of advertising, which is authorized by payment for advertising, the client waives all rights to litigation against Hauntedamericatours.com, the Webmaster or Bachigraphics.com or any related or affiliated organizations or promotional facilities/companies. Article II. All ad contracts are binding, prepaid and exclusive. Banner ads produced become the sole property of the ad client to be used elsewhere as desired, free of charge. Payment by advertiser/client is considered a binding legal contract to these terms and conditions herein and cannot be disputed. EVERY advertiser has been directed to view this page upon inquiry regarding advertising at www.hauntedamericatours.com and it is presumed all advertising clients accept these terms and conditions without reservation as a legal and binding contract with www.hauntedamericatours.com. Article III. Free Banner Creation is offered prior to ad purchase on good faith. Potential advertising clients who request a banner created and do not follow through with ad purchase at rense.com are liable for the ad production cost ($50). All potential ad clients who request a banner ad to be custom made for them are entering into a binding contract. Banner creation is free only to clients who actually advertise with Hauntedamericatours.com. By requesting a banner ad to be created, the potential ad client is entering into a contractual agreement for services free only when the ad is ultimately placed and payed for at www.hauntedamericatours.com. Clients that do not follow through will be billed for the ad creation. Article IV: products or services purchased by visitors to www.hauntedamericatours.com are solely the responsibility of the buyer and seller. Neither www.hauntedamericatours.com, nor www.bachigraphics.com nor the webmaster, editors can be held personally liable or responsible for lost, defective, undelivered or damaged items or services not rendered. www.hauntedamericatours.com is strictly an advertising facility. We do our best to offer only the highest quality advertising and do everything we can to be sure our visitors are dealing with reputible companies. Simply put, each time the main page -- or any of the 40 other banner bearing pages -- are loaded by a visitor, the server is directed to call up a new banner for display from a queue. Likewise, if the page is reloaded, a new banner will appear. Our script uses a random generator to select ads. EACH VISITOR TO THE WEBSITE SEES A UNIQUE BANNER SIMULTANEOUSLY. Ad rotation allows for solo impressions without other ads competing for attention. With over 1 million hits a month, that's a lot of exposure! The pages where banners appear is constantly expanding. Banners must be kept at 20k or smaller. Note: All Banners Must Be Within These Proportions. Slightly smaller banners, however, can be used. Contact webmaster regarding size. A smaller banner or larger banner would be "forced" into a preset space, and testing for quality would be necessary. We create banners and ad campaigns entirely free of charge here at HAUNTEDAMERICATOURS.COM, for any advertising client! The HAUNTEDAMERICATOURS.COM website is currently getting over 8 million hits a month! That hit rate can unexpectedly surge when really big stories are breaking. Please note that we do not track or log banner ad activity. We leave that to the client in favor of using our unique script for ad delivery. Note: We do not accept advertising for pornographic or adult related websites or merchandise, gambling/casinos, or products which might be harmful to the public. HAUNTEDAMERICATOURS.COM Website reserves the right to refuse advertising to any potential client per its discretion and determination. All ads must be approved by the webmaster. Directly competitive ads for the same product or service will not be allowed on the site. Similar products/services will be considered so long as there is no blatant brand conflict. This is our offer of 'Exclusivity' per advertiser. Conflicts of exclusivity will be determined by HAUNTEDAMERICATOURS.COM fairly and equitably, with the interest of all parties in mind. (For example, two advertisers selling health products will be allowed, but the banners cannot reflect the same product line -- the individual websites can contain the same product/services however). We accept money orders or cashier's checks or payment from credit card or debit card through PayPal. Banners cannot and will not go up until payment is received/cleared. Please email WWW.HAUNTEDAMERICATOURS.COM for info on where payment should be addressed. Remember, all ads must FIRST be approved, so send the URL to which your banner will be directed.